Kabaal klankbaan plays a lot of shows. But our Halloween show, The Bride of Halloween, is special. And I’d really appreciate it if you come. Even more than usual. As a little passion project, Kabaal klankbaan has been preparing a super-secret, super-special, super-exclusive, first-time-ever, never-to-be-repeated Halloween set. And a Halloween party. To be played with a Halloween band. Did you say “Halloween Party”? Yes I did. But not actually ON Halloween. That would be way too mainstream. Also it’s a Monday and no-one wants to party on a Monday. So this party happens on THURSDAY 27 October, at Railway Cafe in Irene. That’s right, if you’re good at convincing you can convince yourself that it’s a very reasonable distance to travel on a weeknight from wherever you live. Did you say “never-to-be-repeated Halloween set”? Yes I did. I put together a bunch of my favourite Halloween-flavoured songs, featuring close encounters, werewolves, Martians, transsexuals from Transylvania, chameleons, stalkers, ghosts, voodoo, robots, and more. Did you say “Halloween band”? OH YES I DID. Especially for Halloween, Kabaal klankbaan will have three extra members: Evert Snyman (of Pollinator, Gay Thing, & The Deaf Commission) on drums, Fred van der Merwe (Crystal Park, Shotgun Tori, & The Hellphones) on bass, and Louise Eksteen (Pollinator & Gay Thing) on keyboard & vocals. Another reason this’ll be a not-to-be-missed night! Is there anything you forgot to mention? Yip! Also on the lineup is one of Joburg’s most entertaining and funny singer-songwriters, Naming James, and Voodoo-blues lead vocalist of the Black Cat Bones, Kobus de Kock Jnr. This is a great show even if you HATE Kabaal klankbaan! 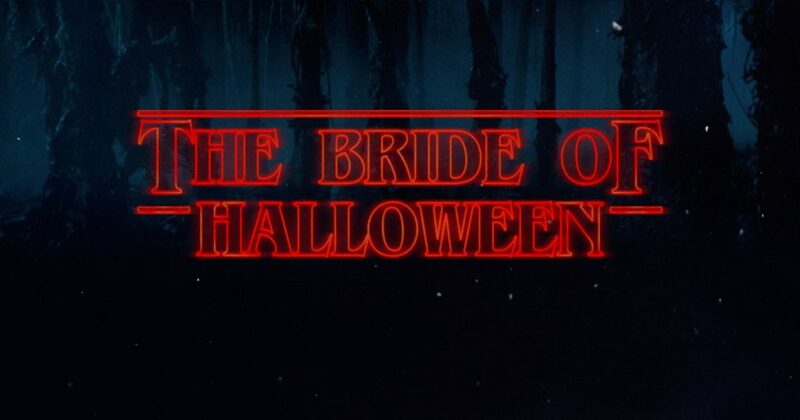 What: The Bride of Halloween – the telekinetic cousin of all those other Halloween gigs you hear about. When: 27 October 2016, come at around 7 pm. There’s even a Facebook event. I also made a cute little video flyer to get you excited. As always, thanks for being a nice web surfer and reading till the end. My next post will probably contain a nice little gift for you. No, really.